Thanksgiving is our favorite holiday here at 911 Restoration, but not just because of the turkey and stuffing. 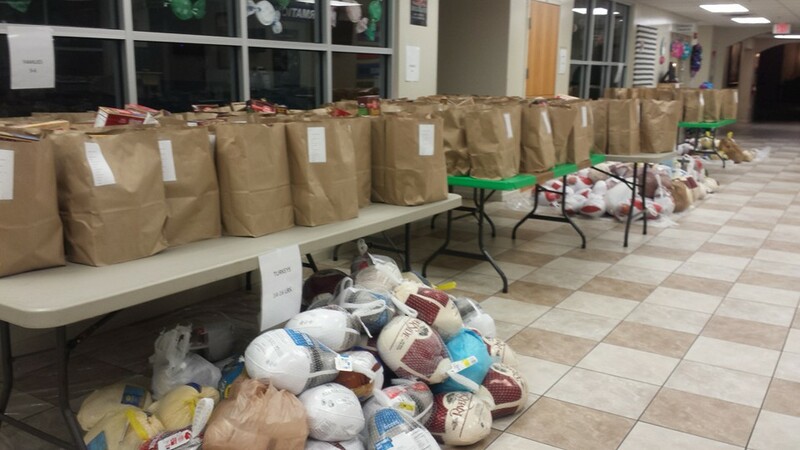 This holiday season is the time to give back to our community, a practice we strive to emulate throughout the year. In keeping with our Fresh Start attitude and one of our founding pillars to “Be a leader through support” many of our 911 Restoration family members are working hard to give their thanks and support to their communities at large. Among those out in force this week to give back to their neighbors are some of our local branch leaders, such as Hank Miller of Virginia Beach and Tim Crane of Charlotte, North Carolina. Hank has made this an annual tradition in his community, and this year he collaborated with the members of his church to hand out over 200 frozen turkeys and all the fixings to those in his neighborhood. Tim Crane has been busy this season as well through his continued support of Take On Sports, an organization which “offers athletic fun for folks with physical and/or intellectual disabilities.” He recently took part in sponsoring and hosting a youth basketball event in Charlotte at Weddington Middle School. “We all have the opportunity in our business and through our hearts to give back,” Tim says in his community outreach announcement. You can watch the video below for more from Tim on Take On Sports. In addition to being thankful for the opportunity to sponsor his team, Tim is also thankful for the Carolina Panthers being 10-0 this season. What are you doing this season to help give back to your community? Let us know on our Facebook page to help spread the inspiration, and for more ideas on sharing your gratitude this season, visit our blog on the 911 Restoration website.